A random photo here of a pair of my Trent Miniatures Artificers hard at work (well one of the anyway!) on some new gabions. I have one more figure finished but he was off on a tea break and three more from the pack to start. I have another pack but I plan on giving them different heads. 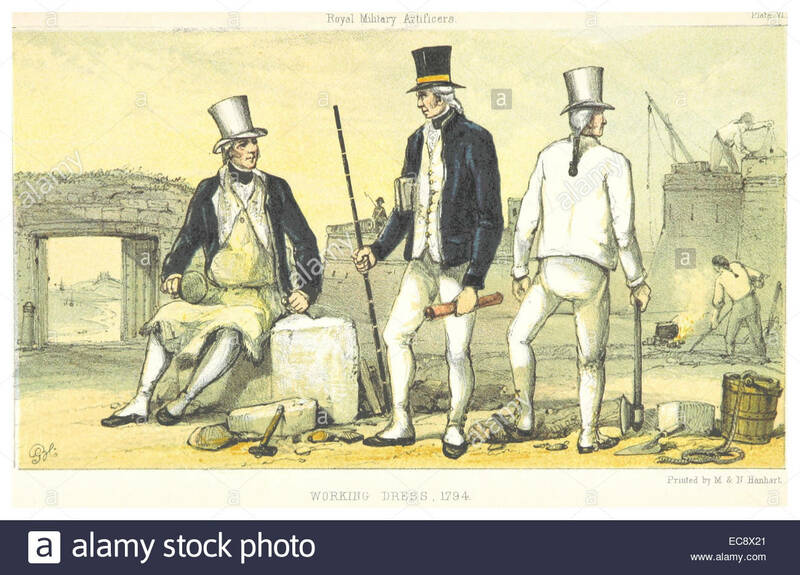 Below are some prints of Artificers, the first set in Egypt in 1801, the others from the 1790's. 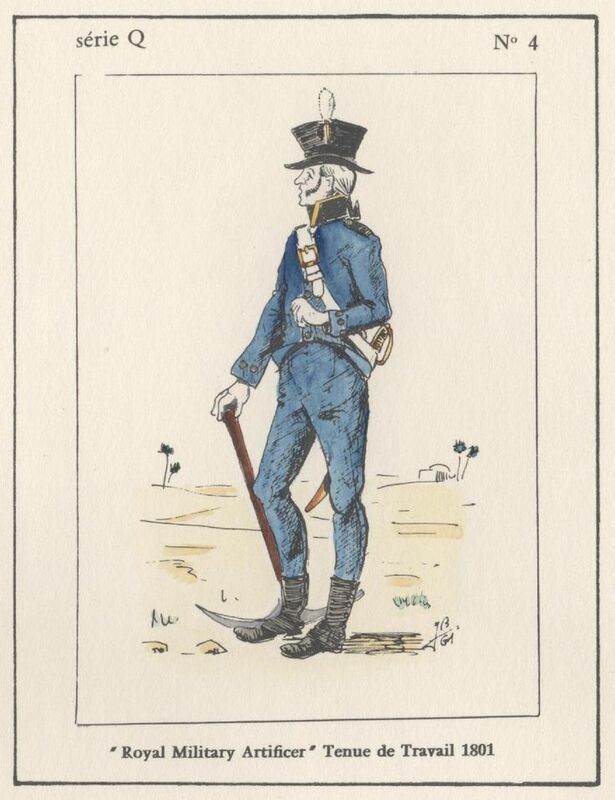 The unit was created by Royal Warrant in 1787, in part as a result of the success of the Soldier Artificer Company which did such excellent service during the Great Siege of Gibraltar of 1779-83. 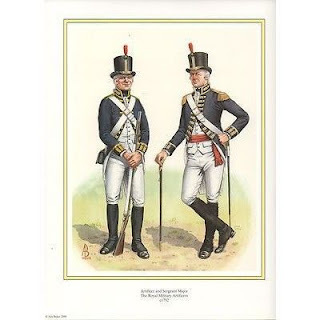 Indeed, the survivors of the Soldiers Artificer Company were amalgamated into the new Royal corps in 1797, and are the precursors of today's Royal Engineers. Nice figures COlin. The top hat seems a bit much for the heavy labour, but what the hey! A one to one ratio of labourers leaning on things vs getting stuff done seems about right. The ratio of workers and non workers is even better than that as Imhave a guy leaning on his shovel enjoying a pipe! Following the message above, I was going to comment on how men supposed to chop and dig while wearing top hats and white vests and trousers spent their work day in reality? Doing laundry? :) They look great though (the figures) as do the gabions. Are the gabions your own work, Colin? Thanks, and it funny you should both pick up on that point. 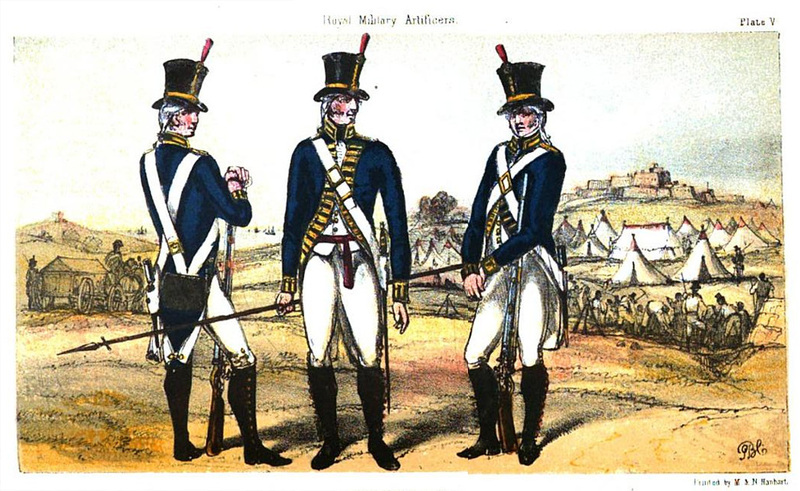 There was another unit formed at the same time, the Royal Corps of Laundressers and Pressers. The gabions are a set from Warfare Miniatures. Nice additions to the table edge detritus there Colin.